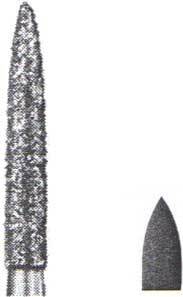 This is a Horico diamond flame shaped bur. This is a flame shape Horico diamond bur with fine grit. This is a flame shape Horico diamond bur wit extra fine grit. This is a flame shape Horico diamond bur with coarse grit. This is a flame shape Horico diamond bur with ultra fine grit. This is a flame shape Horico diamond bur with extra coarse grit.